Holmethorpe Sand Pits and Beddington Farmlands have history. Both are in Surrey, with Beddington about ten miles due north of Holmethorpe. 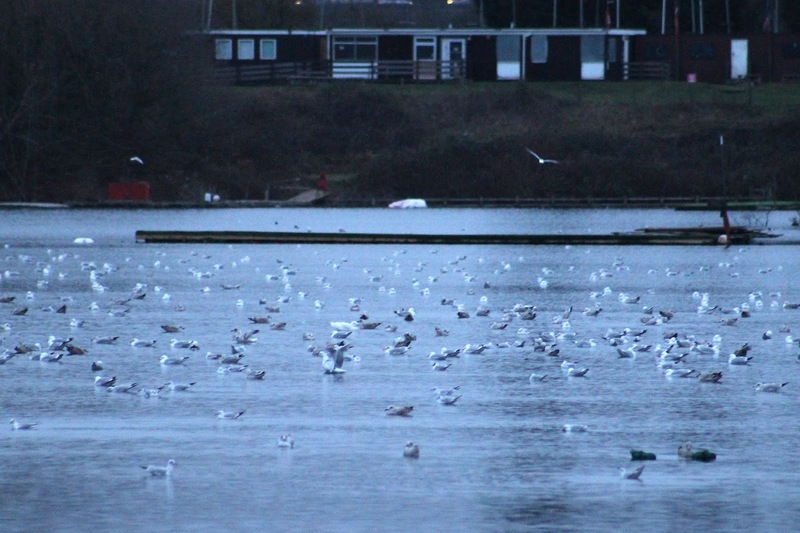 Both have water as a feature, and both enjoy plenty of gulls – the landfill at both sites draws them in. Beddington is famous for them. 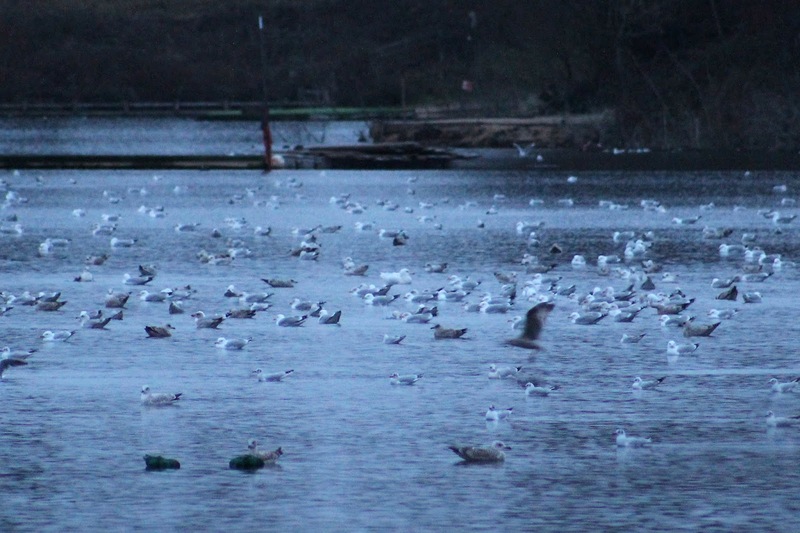 Caspian Gulls are a speciality, as are Iceland Gulls and the occasional Glaucous Gull. They even have had Sabine's Gull fly though or drop in on the scrapes in recent years. 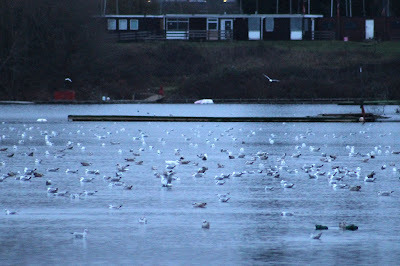 Holmethorpe, on the other hand, tends to encourage all the common species but the rarer gulls are few and far between. We get the occasional Little Gull, always really nice to see, but rarely anything else. But then, every year or so, the two sites share birds. The occasional rarity will arrive at Beddington during the week and when the weekend arrives that bird will up sticks and head to Holmethorpe. When Beddington had a glut of Iceland Gulls during the first couple of months of 2012, one turned up at Holmethorpe on Spynes Mere one Saturday afternoon. Then two and a half years ago (August 2016) a White Stork appeared at Beddington, stayed for a few days and then early one Sunday morning Gordon Hay discovered it on the Water Colour Lagoons. It only stayed for a few hours before heading back to Beddington. Both Gordon and I had independently gone to Beddington to see it, so this outstanding Holmethorpe sighting was just a patch lifer for both of us. 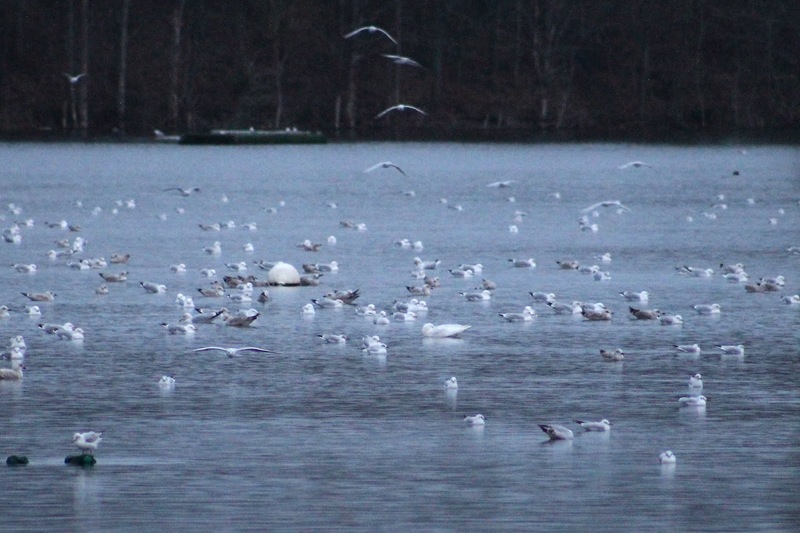 And now, since Saturday evening, a Glaucous Gull that has been resident at Beddington in recent days has decided to roost on Mercer's Lake. 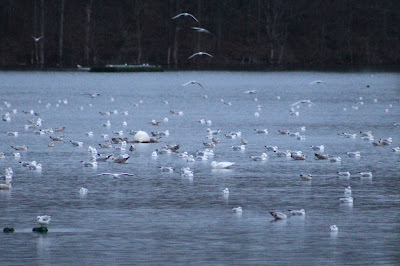 Gordon found it, as is the norm – the first Glaucous Gull sighting on the patch since January 19, 2004 – 15 years ago to the very day. I was lucky enough to see it on Sunday evening and again tonight, when it arrived at about 4.25pm, and pretty soon after touch down it fell fast asleep. It is the first for me on the patch, having seen a couple at Beddington in previous years, and a corker at that.